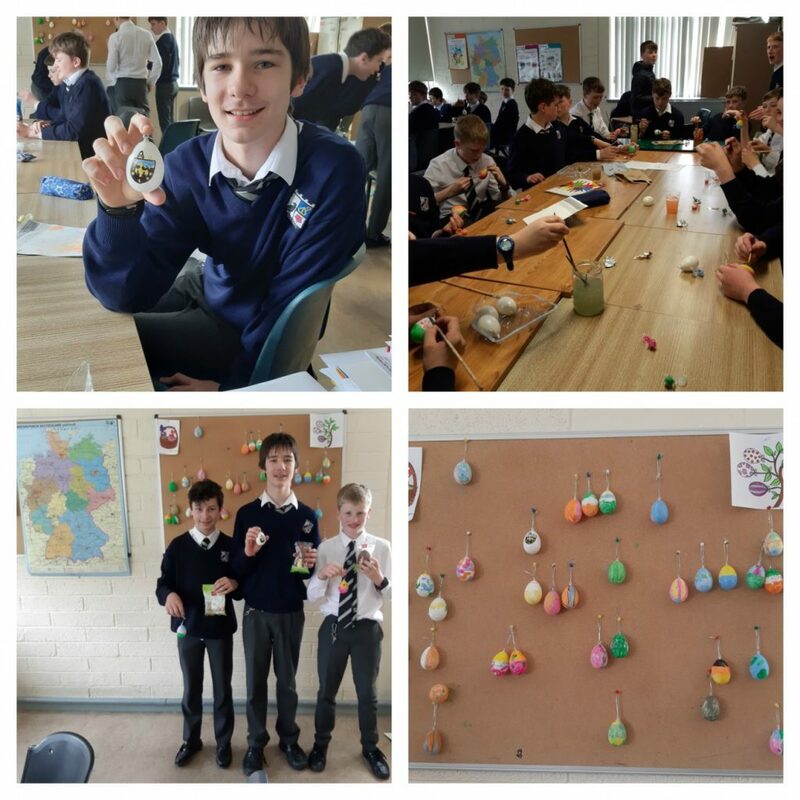 On Thursday all first years took part in an egg-painting competition. The tradition is very popular in German-speaking countries. The winner by popular vote was Mark Tynan, in second place was Raef Donnelly and Harry Madden was third. Well done to all for their creative designs.